What is identity? Some people might answer ‘race', others ‘religion', others ‘gender', others ‘age'. All those can be identifiers, and we can certainly have more than one. But of all the identity ‘parameters' out there, in many respects one of the most important, and yet sometime most confusing, boils down to just one: where are you from? The answer to that question inevitably leads to the very next question: ‘where are you from now?' If those answers are not the same – as is true for anyone that is born in one country yet lives in another – cognitive dissonance can result. Our newest investment, Homeis, seeks to ensure that those two answers never conflict, nor cause cognitive dissonance for anyone. Indeed, in many respects the mission of Homeis is to ensure that each identity is seamlessly and wonderfully integrated, and that is what I would call cognitive resonance. The number of people in the world living outside their country of birth – or country of cultural heritage – has significantly increased over the past 20 years and continues to rise. And in each of the new countries and cities where those immigrants make their new homes, they build new networks – professional, social and cultural. To date, that effort has existed largely offline, with no real digital tools to enable those connections. Certainly you can set up your Facebook feed to have a ‘friends' section that is specifically for those people you already know who were also born in the country of your birth. But neither Facebook nor any other digital platform out there really caters to the hunger of truly connecting with your fellow foreign born compatriots. Where can I find a doctor that speaks my language? What is the best restaurant for the food I crave from my childhood? How do I navigate the legal landscape that is so confusing and different from where I come from? How do I find the best music and entertainment that sings to my background and brings my heart joy? No digital tool today exists to answer those questions and scale those cultural networks easily and seamlessly by helping foreign-born communities share information and connect with their homeland. None that is – until Homeis. That is exactly what founders Ran Harnevo and Hanan Lashover aim to create for foreign-born communities in cities all over the world. An experienced entrepreneur, Ran moved to New York from Israel ten years ago with his first startup, a video platform later acquired by AOL. And as he considered his next endeavor he decided he wanted to create a product tailor-made for the hundreds of millions of foreign-born locals all around the world. 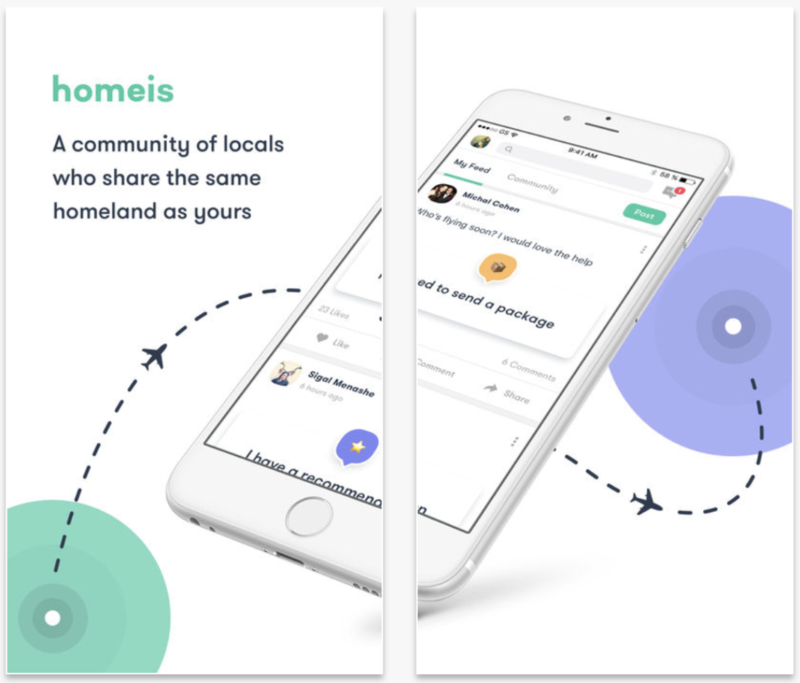 Homeis is a free and private “culture network” for local, foreign-born communities. The platform will connect foreign-born people with others in their community, helping them maintain a close connection with their homeland while also discovering their new city. Nearly half of Canaan's investors are first generation Americans or immigrants in this country – so the idea behind homeis resonated quickly with our crew and I'm thrilled to have led the Seed round for the company together with our good friends from Spark Capital. Identity is complicated, even for those of us living in our country of birth. It's become even more complicated in the digital era, and even more so through the political zeitgeist of 2017. As an industry, we constantly need to refocus on tech that truly connects, rather than isolates. Welcome to Homeis.